This interesting cove is one of the first sights along the trail. Here you can get a good idea of where the trail is in relation to the ocean. One of the nice things about summer hiking in Alaska is the amount of daylight This picture was taken around nine 9:00 pm in late June. View from the end of the trail. Also a great spot to set up camp, due to the level ground and terrific ocean view. Reaching this viewpoint requires carefully scrambling down some rocky terrain. The rocks ahead are an island; not easy to reach. 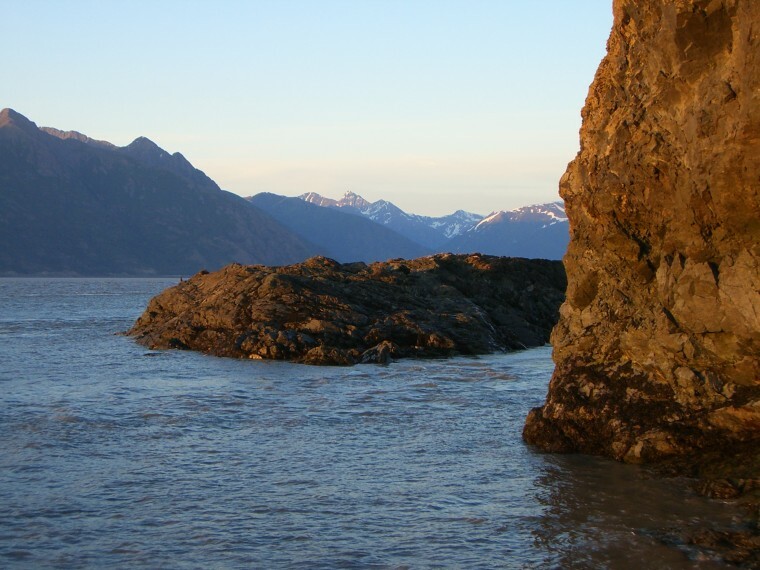 The trail to Gull Rock is a unique coastal hike located on the opposite side of Turnagain Bay from Anchorage. 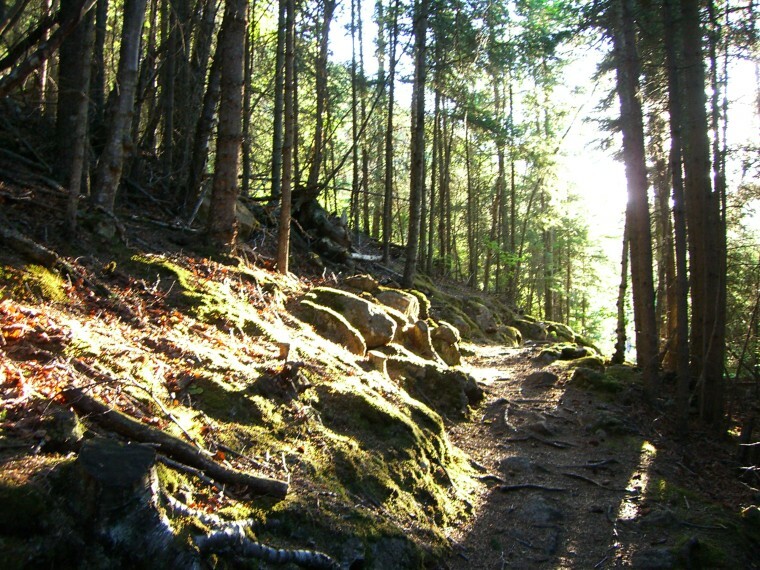 It leads its way through forested terrain throughout the entire duration of the hike. 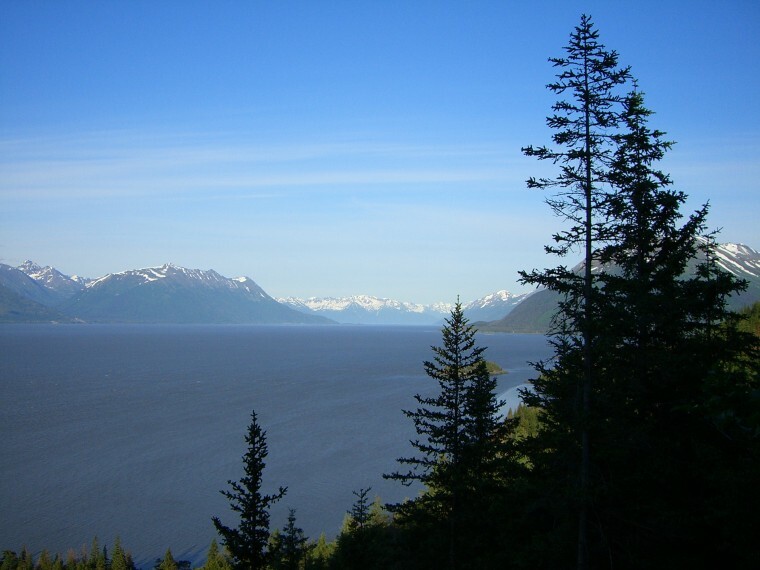 Occasional breaks in the trees reveal mountains lining the other side of the bay (part of the Southern Chugach). Several parts of the trail may have downed trees. A few streams are crossed with the help of man-made bridges along the way. 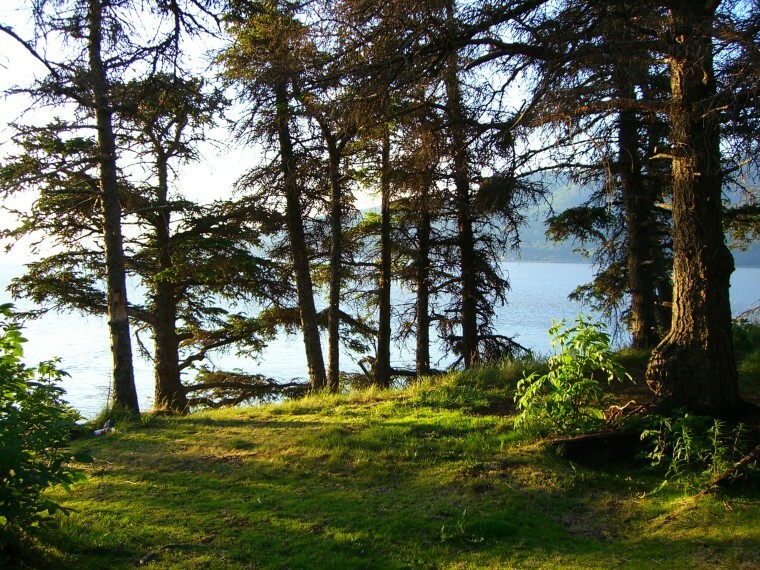 Shortly after making its way around a steep mountainside cove, the trail reaches Gull Rock, a large section of land jutting into the ocean bay. The trail ends at a great place to set up camp, overlooking cliffs with excellent ocean views. Take a left here to carefully scramble down the semi-rocky terrain to reach a grassy hillside next to the water's edge. An easy-going hike; there is virtually no elevation gain of any kind. In addition, the path is well maintained and easy to follow. 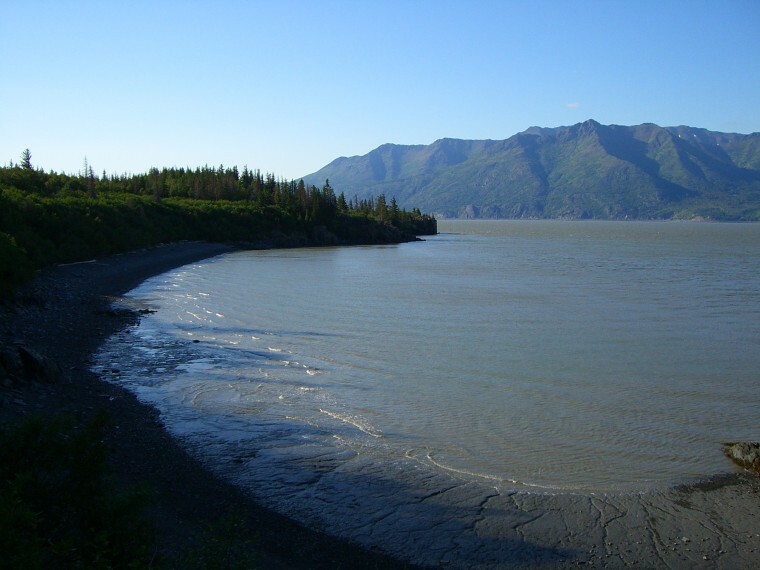 From Anchorage, head south and follow the Seward Highway all the way around Turnagain Arm. After heading inland for several miles, a well marked sign indicating a turnoff for Hope will be reached, on the right. Take the turnoff, and follow this route along the coastal road until passing through Hope. 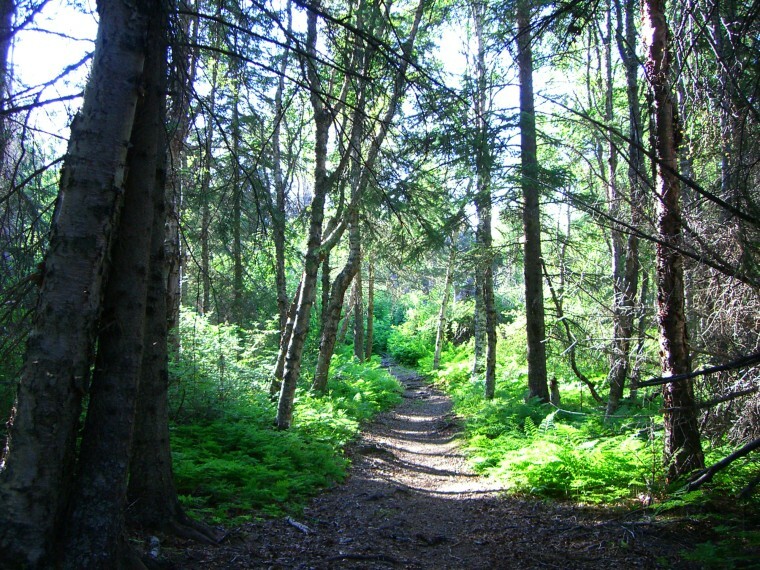 Continue on the same road until a campground is reached; look for a sign on the far side of the campground which indicates the trail's starting point. A small rocky island is nestled below the final vantage point. Accessing it is very difficult, and is thus not recommended. On a separate note, practice bear safety while hiking here. Bears frequently inhabit low-lying coastal areas, and are much harder to spot in forested terrain compared to the higher elevations that many other trails in this region exhibit.